Thanks to constantly-emerging technology, there are so many ways to listen to Power. Below are a list of all the ways we’re aware of, but if there is a technology you’re using that isn’t on this list please let us know. FM Radio: No surprise! 95.5 FM on any FM radio. 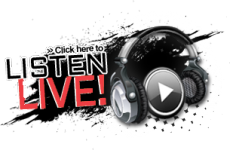 Internet Stream: Click “listen live” at the top of www.power955.com. Amazon Echo (“Alexa”): Yes, there is a Power 95.5 skill for Alexa. Get that info here. Sonos Smart Speaker: Sonos can be linked to your Amazon Alexa app, or you can find using the Sonos app. In TuneIn, search for Power 95.5. Apple HomePod: With your iPhone and HomePod connected to the same WiFi network, access the K-Hits stream in your mobile web browser at www.power955.com, or by using the Power 95.5 iPhone app. Any Bluetooth Speaker: If you have your mobile device connected via bluetooth to a bluetooth speaker, then you can simply get our stream by either touching “Listen Live” at www.power955.com, or within the Power 95.5 mobile app … whichever you prefer. Smart TVs: All of the major Smart TV operating systems have the TuneIn app available. Install the TuneIn app on your Smart TV, then search for Power 95.5. Roku: Install the TuneIn app on your Roku, then search for Power 95.5. Xbox One: Install the TuneIn app on your Xbox One, then search for Power 95.5.